14 Jan 2019, 1:32 p.m.
Prime Minister Theresa May issued a warning today that Parliament is more likely to block her Brexit deal than approve it, which is tantamount to “betraying the vote of the British people”. The PM gave a speech this morning arguing the case for MPs to support her Brexit deal in Parliament tomorrow. Speaking to reporters and workers at a pottery factory in Stoke-on-Trent, Mrs May admitted that there were many MPs for and against Brexit that were unhappy with the compromise of her deal but argued that the risks of a No Deal scenario warranted voting for her deal. Theresa May’s message to members of parliament was simple: “You can take No Deal off the table by voting for that deal”. 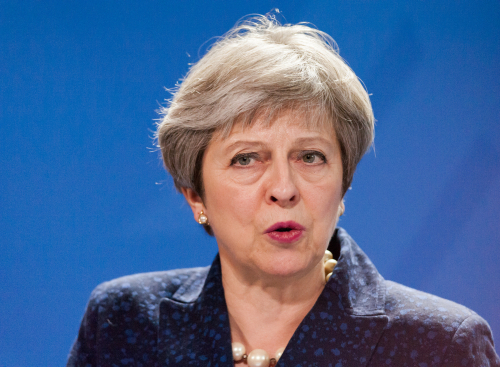 The speech by the Prime Minister focussed on the negatives of voting down her deal, stressing that the ‘more likely outcome is a paralysis in Parliament’ and that there were economic risks to a No Deal but democratic risks to No Brexit, warning MPs that they risked telling the public that their voices don’t count. The vote, due tomorrow, is widely expected to be defeated, with large numbers of Conservatives predicted to rebel against their own leader. Will Quince, MP for Colchester, is one such MP who plans to oppose Theresa May’s proposal. Mrs May is currently coming under fire for hypocrisy having mentioned, in small part, the Welsh Assembly. A referendum in 1997 supported the creation of the assembly by a margin of just 0.3% in favour, to which the Prime Minister argued the result was never challenged. This has since been debunked, with Theresa May and several of her current colleagues having voted against devolution in Wales in Parliament despite the referendum result. The Conservative Party even pledged a new referendum on scrapping the Welsh Assembly as part of its 2005 election campaign. A no-deal Brexit is not "suicide" "survivable" and better than Dunkirk, says Liam Fox. The Labour Party has said it plans to table a vote of no confidence in the government should Tuesday’s Brexit deal be defeated in the Commons, with leader Jeremy Corbyn telling Andrew Marr on Sunday that they would table the motion in a bid to trigger a general election. Polling currently being undertaken by the London Evening Standard shows 47% of its readers believe a second referendum is the next likely step, while 32% believe a No Deal scenario will happen. Only 9% think A deal (this one or another) will be approved, and a tiny 7% believe that a General Election will be called. Theresa May will issue a statement in the House of Commons at 3:30pm today before MPs resume debating and she will speak again tomorrow when she closes the debate before voting begins on her Brexit deal. Tomorrow’s vote is expected either between 6-8pm or 7-9pm, with the outcome revealed approximately one hour later.